The ability to spot convincer strategies is truly like icing on the cake! Sure, you can eat cake without it, but with it, the cake is that much sweeter! Convincer strategies are very subtle clues that customers reveal about how they make decisions and how they are influenced. The study of behavioral economics provides significant insights that you can learn and apply to your sales strategies. Accurately appealing to convincer strategies will give you the competitive edge to win more opportunities. Identify why some customers respond to the “Take Away” strategy – and learn which group this applies to. Use the “Move Forward and Move Toward” strategies to appeal to customer decisions to reach agreement. Appreciate why 60% of your clients need you to present change or you will lose them! Register for this event or the whole series. Complimentary for CSC graduates – enter code CSC2016 at check out. Consultative Sales Sprints! – Designed to Build Sales and Service Muscle, Agility, Endurance and Effectiveness! 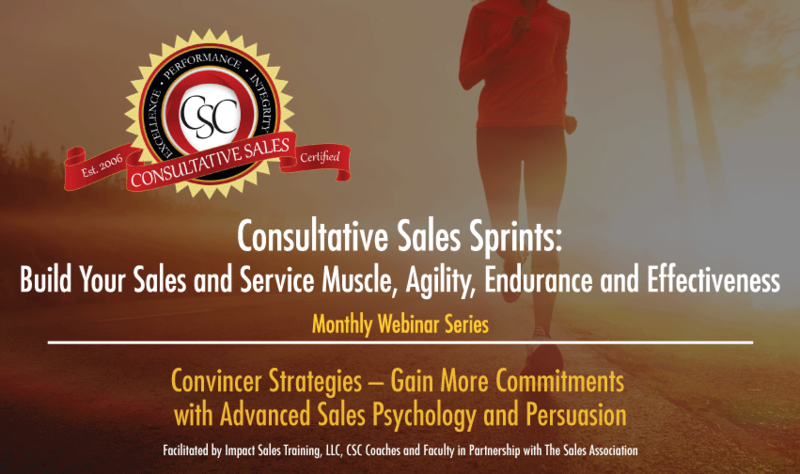 If you are looking for a consumable way to improve your sales and service relationships and outcomes, or are just interested in learning more about the CSC program, join us for Consultative Sales Sprints. Consultative Sales Sprints are monthly web forums where you will learn the latest insights from experienced sales coaches while collaborating with peers to develop your sales strategies. During each forum, you will dig deep into one core consultative sales competency. You will walk away with insights that you can immediately apply to your sales interactions. Come with questions and leave with answers! “CSC graduates have asked for an ongoing venue to continue to grow and share experiences after graduation. 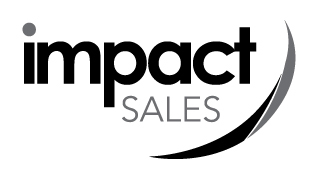 We have seen much success with this format and are enthused to be able to share the insights with all Sales Association members,” according to Marcia Gauger, co-developer of the CSC curriculum and CSC Sales Sprints. Whether you want to just attend and soak it all in or come with a situation related to the topic to share with the group and get coaching feedback– this is your forum – Come as you are! And, be prepared to Learn More, Sell More, Earn More! Subscription to Consultative Sales Sprints: No cost for SA members. $299./per year for yet to be members. Includes 12 forums – approximately one per month. Join as often as you like! Complimentary for CSC grads. Go to Salesassociation.org. Register for the webinar series, continue check out and enter promo code CSC2016.